The Universal Bin Lifter is a push button unit with a complete safety cage that aids in the lifting and emptying of wheelie bins into dumper bins. When employee safety is paramount the Universal Bin Lifter is the model for you. Completely Australian Standards compliant, the safety cage and extra guarding adds extra protection for users. 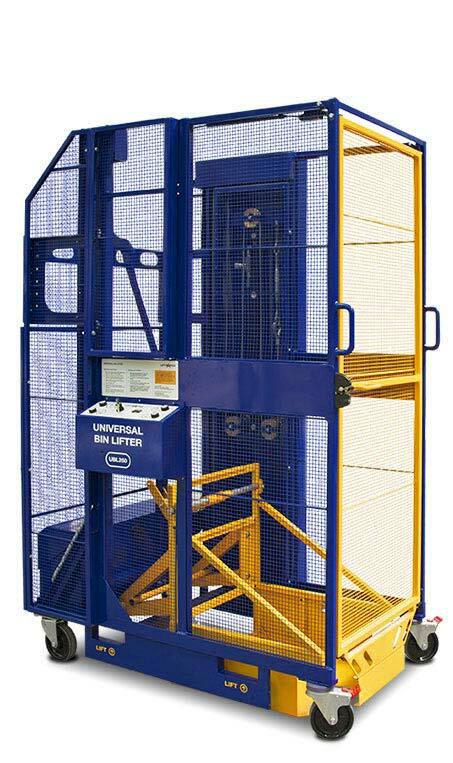 The Universal Bin Lifter is the ideal unit for heavy weight and regular lifts. The push button operation eliminates all manual handling and associated risk.